You gotta give Guangzhou some credit. The capital city of Guangdong Province is trying desperately hard to catch up to its first tier city peers in the culture department. The city’s inferiority complex manifested itself most recently in the over-the-top production of the 2010 Asian Games – an event reminiscent of the 2008 Beijing Olympics but hardly as noteworthy. While browsing through the front page of the planning website Planetizen the other day, I came across a link to a story from the autumn issue of City Journal titled ‘Asian Megacities, Free and Unfree‘. City Journal, published by the Manhattan Institute, is one of my favorite publications about urban issues, and usually produces well-reasoned, thought-provoking pieces. And given the topic of this piece, I was excited to read what I thought would be a compelling article about the rise of Asian cities. K M - I noticed you didn’t address the issue of the migrants being treated like a plague. I’m guessing it wasn’t because you forgot. I’m aware of the struggles of migrant workers. I’m also aware that China’s urban ascent would not be possible without the hard work of these people. Yet this is not Dubai, where workers are treated like slaves. Migrants readily come to cities to work in factories and construction sites to make a living, which by western standards might not seem like much, but is more than would be attainable if they were to stay home in the countryside. I know several individuals here in Sichuan Province who are the sons and daughters of migrant workers. Their parents in the 80’s and 90’s went to work in the cities so they could provide better opportunities for their family. Today, these sons and daughters have university degrees and are working in white collar jobs. And this happened in the course of just one generation! Architecture professionals across the world are entranced by the building boom taking place in China. 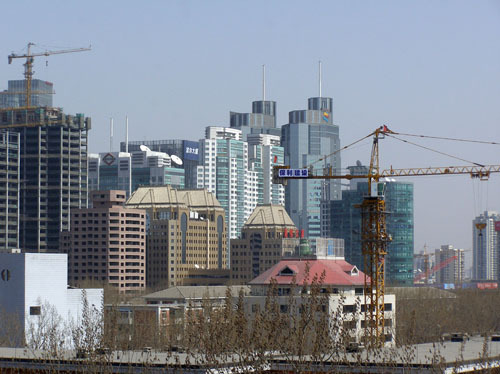 The urbanization of China’s cities has been a lucrative opportunity for several foreign firms. 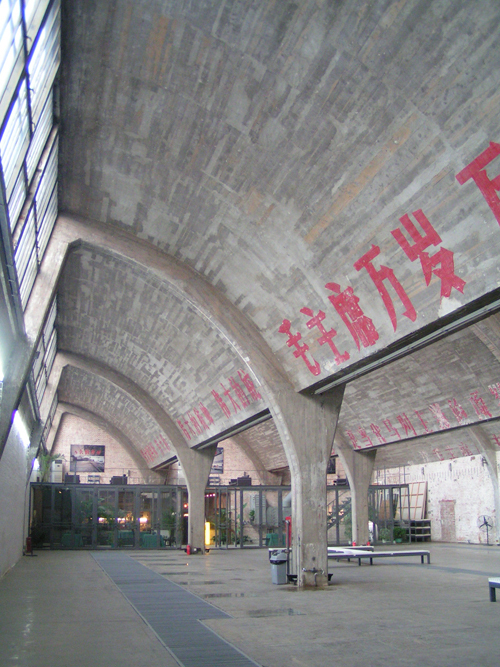 With the global economic recession freezing construction activity in most Western countries, more architects are looking to China as a panacea for the lack of new work. The G-20 meeting in Seoul earlier this month left in its wake a trail of uncertainty regarding the state of the global economic system. The U.S. received its fair share of criticism over its ‘QE2’ quantitative easing measure. ‘Quantitative easing’ is essentially akin to the Federal Reserve Bank printing more money. The goal here is to help stimulate job growth in the U.S. by weakening the dollar. Forbes columnist Shaun Rein explains why quantitative easing might actually be a terrible mistake. As America continues its game of high-speed rail hot potato, China has quietly finished laying the tracks for the longest bullet line in the world. Spanning more than 800 miles, the line will link the Chinese capital of Beijing with Shanghai, an economic hub on the east. Travel between the two cities will drop to four hours—down from 10—when train service begins in 2012. Well there you have it folks. China is pulling far ahead in transportation development with its comprehensive high-speed passenger rail system. Meanwhile, Megan McArdle at the Atlantic writes about why the U.S. will not get China’s high-speed rail. She makes some very good points, including the fact that China has a higher concentration of densely populated metropolises close to one another than in the U.S.- creating a demand for high-speed rail. McArdle might be onto something here, as opponents of high-speed passenger rail in the U.S. worry about low ridership levels due to the sprawling, low-density nature of the country and its cities- which are, as the argument goes, better served by the private automobile. Low ridership is definitely not a problem in China, where it is advisable to book tickets for high-speed rail routes at least 5 days in advance due to a huge demand. Whether this would be the case in the U.S. or not would be difficult to predict. For China, a comprehensive high-speed rail system is perhaps the crowning accomplishment on its path to economic and urban dominance.